Title: The Town Field, Horsgate. 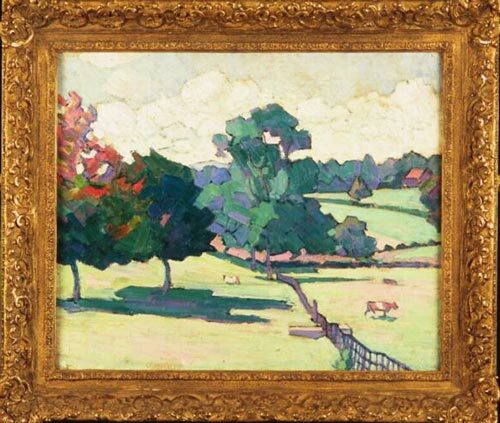 Caption: The Town Field, Horsgate by Robert Bevan, 1914. Painted a year after Bevan and other artists interested in Post-Impressionism founded The London Group. Bevan worked with Gauguin in the 1890s. He was not primarily a landscape artist, being better known for his London scenes.